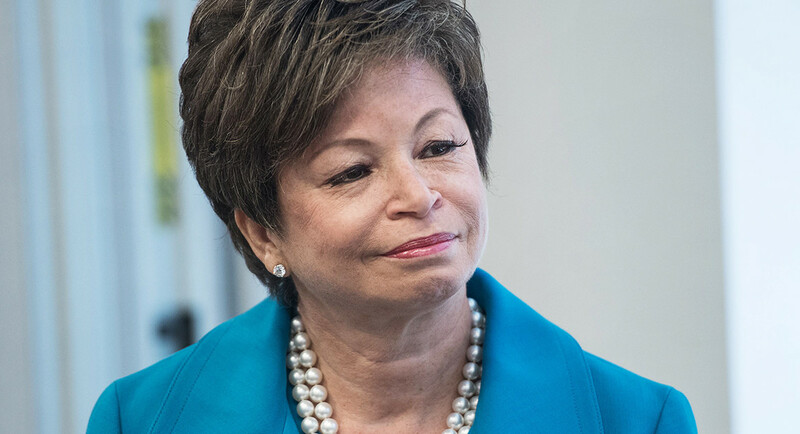 Daily Caller: Former White House advisor Valerie Jarrett complained in her new book that there was a “general macho atmosphere” in the Obama White House. Jarrett is jealous. She was having an affair with Obama. The whole gang in the WH were perverts, if you know what I mean. Now look what we have. A mayor that criticizes the President for his religious beliefs that is a sodimizer, Then you know what we had in the WH, Beyoncé, JZ and what drugs?? Any and ALL Muslims who refuse to totally disregard and eliminate Shariah and Muslim Laws 100% from their lives, Close and destroy all Mosques, then swear under oath to accept the US Constitution and Bill of Rights as written (as required by US Laws)!! Then to agree to obey ALL the laws of cities, counties, and states within this nation in which they reside. If they refuse, they need to be stripped of their Citizenship (if they even have one) and Deported IMMEDIATELY to their original home Country by any means possible even if it’s by parachutes dropped out of the back of an antiquated Military C-119 flying boxcar!!!! Haven’t we had enough of this Un-American Bull SH*T!!!! Roseanne Barr was Correct!!! In addition, Any and ALL Muslims who refuse to totally disregard and eliminate Shariah and Muslim Laws 100% from their lives, Close and destroy all Mosques, then swear under oath to accept the US Constitution and Bill of Rights as written (as required by US Laws)!! Then to agree to obey ALL the laws of cities, counties, and states within this nation in which they reside. If they refuse, they need to be stripped of their Citizenship (if they even have one) and Deported IMMEDIATELY to their original home Country by any means possible even if it’s by parachutes dropped out of the back of an antiquated Military C-119 flying boxcar!!!! Haven’t we had enough of this Un-American Bull SH*T!!!! Biden run for president, good move, little girls can not vote. Bull crap, just might be (doubt it though) that all these men? the obamsssss was meeting and then bringing them to the white house for a overnight just might have made her/it think it was too mohco. I am sure it did not think the obamssssss was too (ha ha) mohco…..now the so called first lady, that would be a different story.